It all started back in 1969 with the infamous duo of John Mahon and Pete McGee—the two bar men piled their tip jars together to open the “Pig ‘n’ Whistle”. The name derived from the staff bar on the Queen Mary ship where many Irish worked, drank, and sought a home away from home. This theme fit perfectly to what the duo wanted to create, and they did just that on the streets of New York City. It soon became a favorite haunt for people from all walks of life—business men, celebrities, and famous politicians—which still continues today. The original restaurant was located in the Old Townhouse of President Taft on West 48th street, in the heart of New York’s Rockefeller Center. John set his sights on growing the venture, expanding the business throughout the years. Since then John has expanded his group of Bars with his partners, Des O Brien, Cormac McCormack, Ken McCoy, Eamonn Maher, Eugene Wilson, Noel Donovan Pat Burke, and more recently his two son’s Robert and John Jnr. 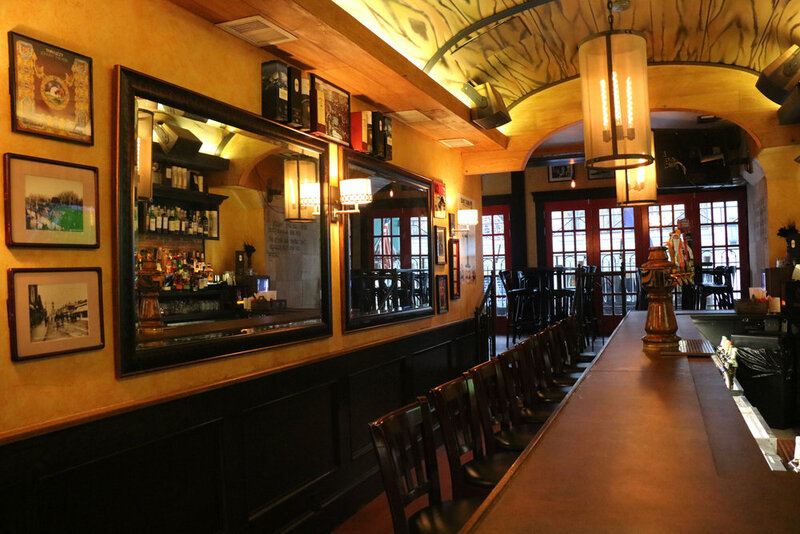 Currently the Pig ‘n’ Whistle Group comprises of 12 pubs and restaurant which are ideal for business lunches, relaxed dinners and private parties with all of its locations in midtown Manhattan. While the bars have evolved to a more modern touch keeping with current trends, the ethos of their bars remains a homely welcome for all.